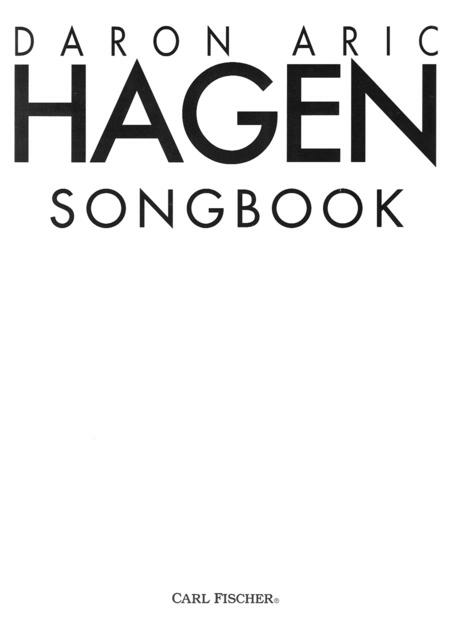 Composed by Daron Hagen (1961-). Piano reduction/vocal score. With Standard notation. 184 pages. Carl Fischer #VF00003. Published by Carl Fischer (CF.VF3). Unhyped and underperformed, these cycles are exquisitely crafted and have excellent taste. They are not Sondheim-wannabes or second-rate Barber; they are original, heartfelt, profoundly vocal songs. Excellent for undergrads and grads. 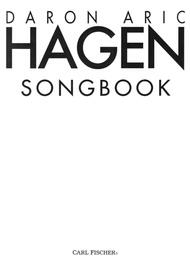 I heard one of my friends sing the song GHOST LETTER in a master class that Hagen gave here at the University of Puget Sound yesterday and it (and Hagen's comments) changed my life. These are GREAT songs. WOW. 14 of 29 people found this review helpful. July 04, 2008 THESE ARE BEAUTIFUL! I took this collection out of the library at Skidmore to learn some for my teacher. I came back to SMP to buy them for myself! @ These are beautiful songs! These songs are so beautiful! I don't mean to sound like a flake, but I just have to say I am deeply touched by them and wanted to say so somewhere. 18 of 32 people found this review helpful. psychologically complex musical contexts. I strongly recommend his songs (esp. Larkin) for any American set on a recital.